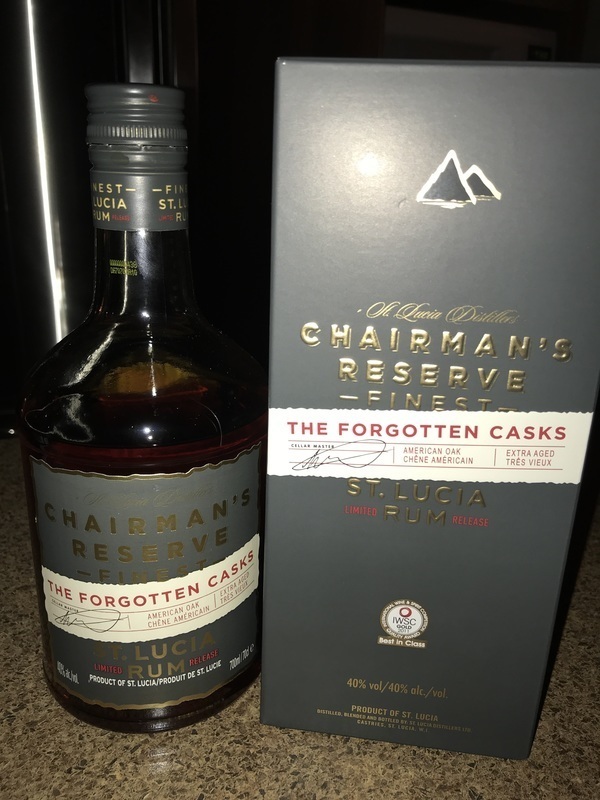 Have you found an online vendor selling Chairman's The Forgotten Cask? This one should be the best of there assortment. I was to start with suspicious because the cheap screw cap and not real cork. The rum is thin and smells oaky and the flavor is instant strong with long aftertaste. The rum is becoming better when letting it breathe for a while. I wanted more, but it is tasty. Sweet and smoky. Not sure about oaky though. Similar rums at a bit lower cost as well. Keep looking . . .
Un bon rhum qui au nez est assez complexe. En bouche on goûte le chaîne, cassonade et la vanille. Veilli dans des barils ayant servi à faire du whisky jack Daniel, il est quand même doux. Côté qualité/prix vraiment décevant. C est un bon rhum si vous avez la chance de le payé moins cher. Bit of a let down really. Nice colour, good aroma but I found it to be harsher on the throat than I expected. Warms you through, but for the price I feel others are definitely superior. Read the story while you drink it, improves the taste. Then share with your friends and tell them the story. The story is better than the taste. I wanted to like this very much as it was brought to me as a gift from the island. After ample taste tests, I found it was simply not the best for neat sipping, especially if not very cold. Many aromas and flavors at work, some overpowering, almost as a flavored rum. I found with a tiny splash of Fever Tree ginger ale or Schweppes lemon however, it made an excellent grog. As it is, I'm not a big fan of the St Lucia Rum line; from the 1931 series to Admiral Rodney. To me they all have a similair taste profile and it is centred around cinnamon. Cinnamon for me is not a desired taste I enjoy in my rum and this one seems to fall in line with the others. I actually enjoy the smell of this rum better then the taste. Although; it is pretty smooth for what seems like a juvenile rum. Zum Glück für uns Alle wurden diese Fässer wiedergefunden ! Im Gaumen richtig vollmundig und deftig, nicht so süss, Leder, Holz, so richtig schwer. Im Abgang schön nachhaltig, mmm und noch ein Schluck ! Fortunately for us all, these barrels were found! In the palate really full-bodied and hearty, not so sweet, leather, wood, really heavy. In the finish beautifully lasting, mmm and another sip! Nice and dry, with some oak and spice...but it all goes away quickly. Freud said that there are no accidents. So, maybe there was a reason they "forgot" this rum?? Spicy with floral & vegetal notes, this rum is sweet with short or medium aftertaste. Interresting history past but does not leave a long memory. En fin sippe rom, med noter af røg. Den er dejlig blød og rund. Funky nose. Caramel notes with spice. Pretty smooth. I'm more the sweet rum guy, so I am not the luckiest one with this rum. I like its smell, but for me it's not enough sweetness and a to strong taste to enjoy it very often. A nice golden brown amber with a nose consisting of pineapple, burnt sugar, leather, raisins, wooden lacquer and oak. A little bit accidic in the nostrils. Taste: medium bodied with limited sweetness and notes of bitter dark chocolate, raisins, a hint of caramel perhaps, leather and oak. Its medium tannic and a bit spicy on the finish with a tingling sensation in the cheeks. The balance and alcohol is decently integrated. It might not be a fantastic rum but snag one when it’s on sale. I was surprised to find a twist-off for an item that is marketed as a premium rum. Dark amber color, with a nose of sherry. Slightly sweet, smooth on the tongue, with a slight backbite on the finish. Overall very nice. I expected much more flavour and body, a bit bouring and really nothing special, may be good for a nice Cuba libre!? I ordered this through the internet. They didn't state this rum has a screw on cap like your rack liquor does. I expected a finely aged rum for the $50. What I got was total misrepresentation period. First thing I noticed was the screw on cap. Then, I could tell by the first sip it was 90% 5yr old and 10% mixed. Complete garbage. Then I decided to search the internet and see if sugar cane is still an item in St. Lucia since this is suppose to be a product of St. Lucua. The answer, in REAL small quantities, so NO! So, where is this rum really from? Its got marketing all over it and authenticity absent. This bottle will obtain major shelf life in your liquor cabinet, trust me. Don't waste your money like I did. Go for the best bank for your $$$. ElDorado. Very dark reddish amber. Aromas of molasses, some hazelnut and dried fruits. In mouth, vanilla, honey/caramel, leather and oak notes dominate. A tiny bit of an alcohol bite but it was fine to drink neat nonetheless - it is a fairly dry rum though. There is a short finish with mostly toasted notes. A medium-bodied rum, dry but arguably not a biting bone-dry flavour because of how it's evenly balanced. I found it quite nice. All in all, I would settle for somewhere around 7.5/10, which I'll settle on 8/10 for now as I do not find it much worse than many highly rated sweeter rums. An interesting rum, quite harsh to start with but it smooths out. To my taste buds, it's actually not better than the standard Chairman's Reserve - I wouldn't buy this for 70%+ more in terms of price. What does it taste like? Imagine a marriage of Chairman's Reserve and Mount Gay Black Barrel and you are not far off - this certainly has more of an oaky, charred bourbon taste than the original, but it's not quite as sweet and round in the middle. 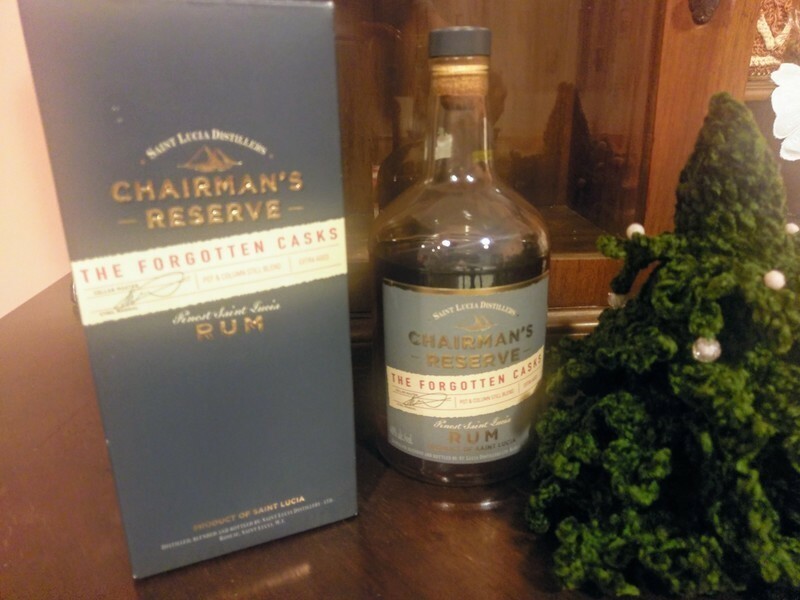 It has a good oaky nose and a very strong oaky, smokey-bourbon like finish, but in the mouth, I prefer the standard Chairman's Reserve. Did expect more to be honest...smells better than it tastes..